There is something special about spending time by the sea, in places where the weather and the tides shape and form daily life. Being by the ocean has the ability to help heal that which ails us - physically, mentally, emotionally, spiritually. The therapeutic effects the ocean and beach can have on a body are tangible - walking along in the sand, where the water meets the shore, has a detoxing effect on the body. Hearing the ocean and being in contemplation by the sea has an effect on our mental and emotional well-being. 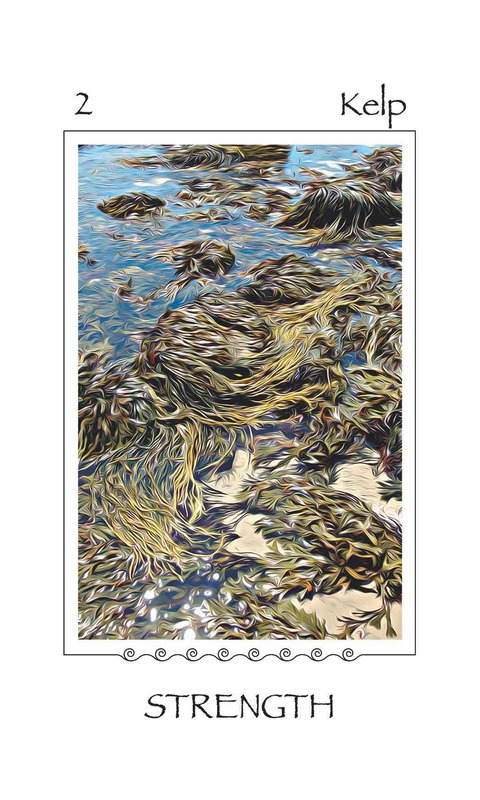 Being by the ocean, in nature, can nurture our spirituality. 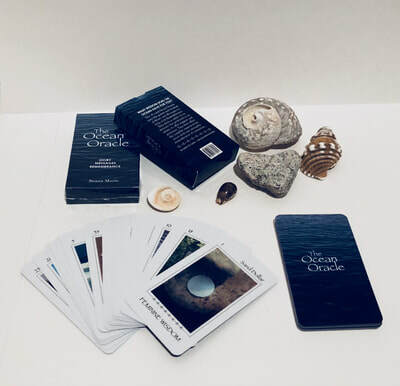 The Ocean Oracle uses the power and wisdom of Story and Messages to help with Remembrance. This deck is subtle in its delivery but profound in its ability to offer support and guidance. 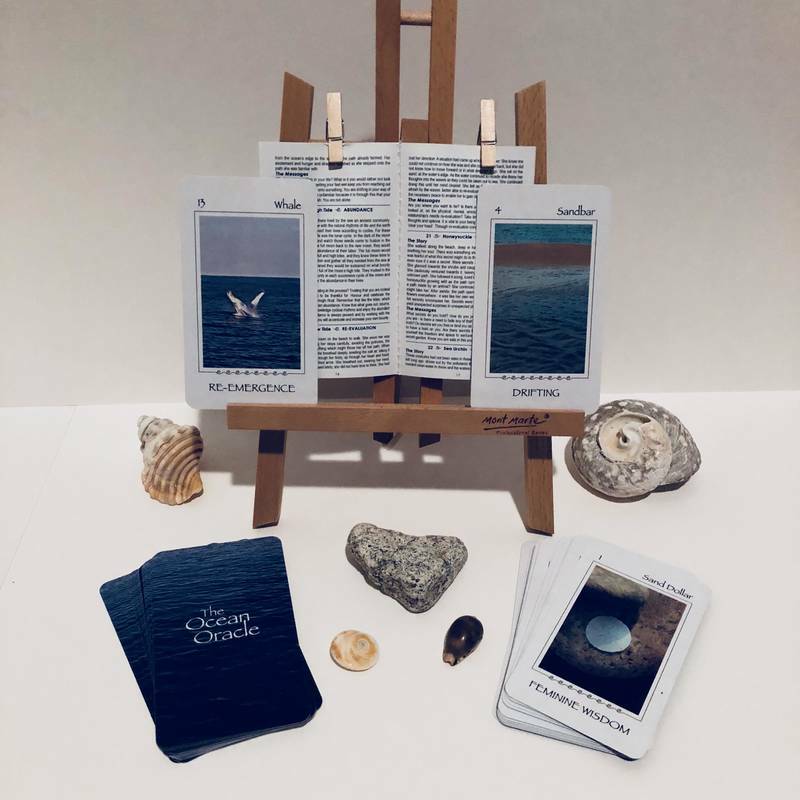 This deck offers the tangible aspects of the ocean with our intangible remembrance of connection. Your soul knows what it feels like to be well. 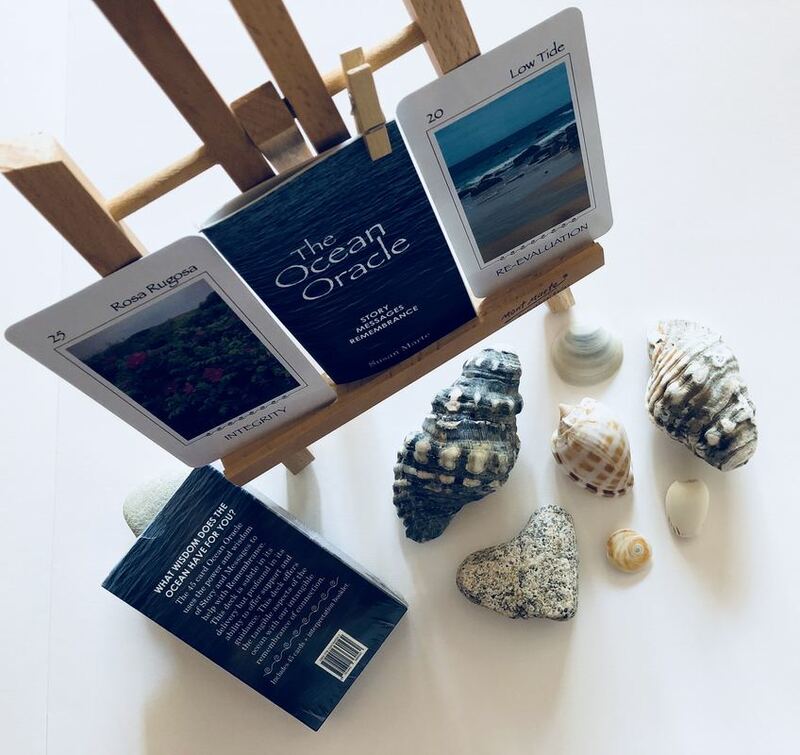 Let The Ocean Oracle help you remember that feeling so you can heal your Self back to who you are and all you are meant to be. New look deck is here! The cards look great, the booklet is gorgeous and the packaging stands out! And I'm so excited they are ready to sell. More info and photos coming soon. Want to purchase a deck? All the info here. Creating an oracle deck is an interesting endeavour. (And, surprisingly, one that a lot of people undertake.) When I first created this deck, getting it published proved to be difficult. The publishers I sent it to thought the 'pictures weren't pretty enough' (or something like that) and self-publishing would have meant ordering thousands of decks. So, I created the app. But that didn't work so well in the end and after a couple of years I had to remove it from the App Store. All this time I have been creating decks by hand, using photo cards. It's labour intensive and makes for an awkward size deck. Recently I found an on-line site that lets you self publish as many (or few) decks as you'd like and I decided to give them a try. The proofs were sent off last week and the finished product should be with me in a week or so. I am beyond excited to see how they look. So, stay tuned. The new-look deck will be unveiled (and available) soon. 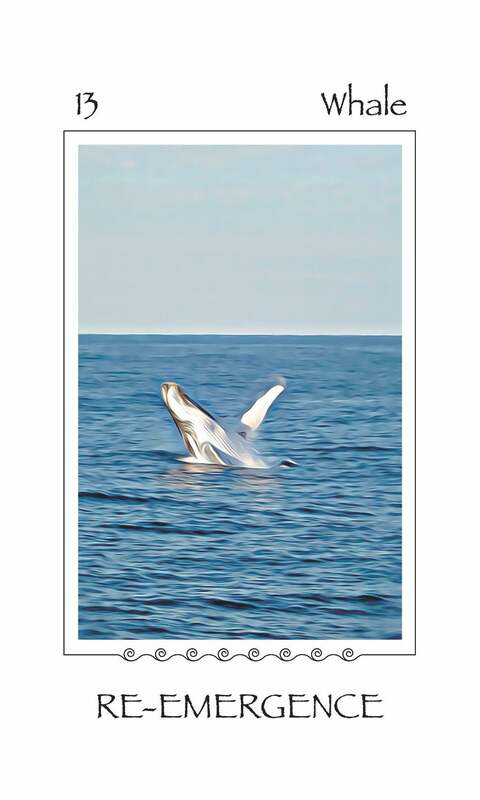 Want some Ocean Wisdom to get you through the week? Want your very own deck? 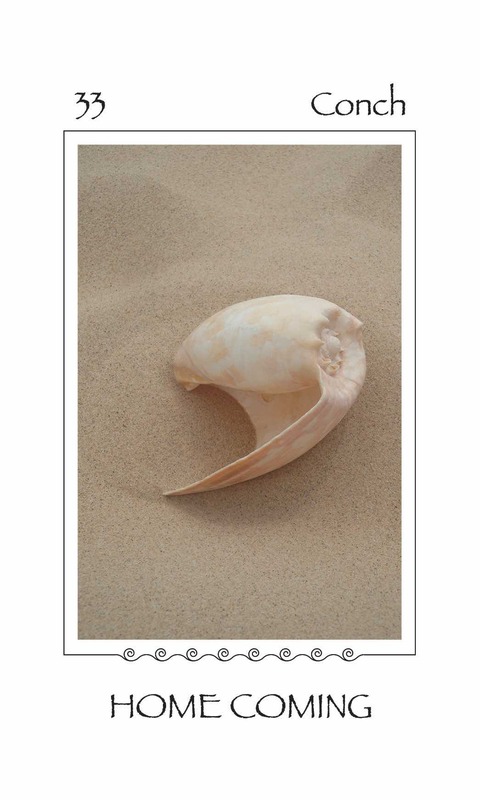 Each week a new card is posted on The Weekly Reading page. All the information for purchasing a deck can be found on the Purchase Page.